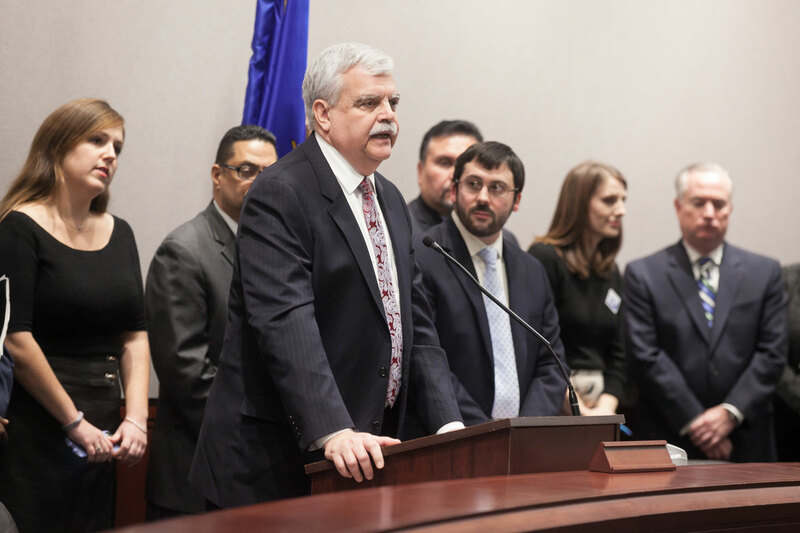 I recently joined fellow legislators, representatives from the business community, and worker’s advocates at a press conference in support of legislation to raise the minimum wage. Along with my colleagues, I have co-introduced legislation that would establish a minimum wage of fifteen dollars per hour in the state of Connecticut by 2022 through incremental increases. Many of my neighbors in Danbury earn minimum wage, and the current minimum wage is not a living wage. No one working forty hours per week should be unable to put food on the table. Raising the minimum wage to fifteen dollars per hour by 2022 will help lift many families out of poverty. It will also benefit taxpayers throughout the state as fewer families will need to rely on state aid to supplement their income. Ensuring working people can make a decent living will always be a stronger economic stimulus than any proposal that claims to help everyone by making a few people at the top richer.